Hi Maureen, The Holdcroft H. NORVELL who married Mary WINGFIELD was born earlier, sometime before 1736. It was a later Holdcroft NORVELL who was born in 1758, who also married a “Mary”, hence the confusion. I am a descendant of Captain Hugh Norvell through my mother, Doris Jean Norvell. I am interested in sharing and exchanging information. Please let me hear from you. Another descendant of Captain Hugh Norvell was John Norvell (December 21, 1789 – April 1850), a newspaper editor and one of the first U.S. Senators from Michigan. There is more at Wikipedia and HERE. Can someone direct me to a biography or historical sketch of Captain Hugh Norvell? A good reference on the Norvells is “James Norvell of Colonial Goochland County, Virginia” by Grace Norvell, 1988. 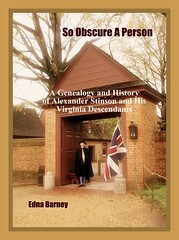 I believe it is at the NSDAR Library in Washington and that it was also published in one of the Virginia genealogical magazines. My name is Trina (Norvell) Kerr and I am also a decendent of Hugh Norvell. My Great Grandfather was James Norvell, Grandfather- William Anderew Norvell 1898-1972, and my Father is William Walter Norvell 1937. I am excited to read all of this information and to know more about our family. Any more information I can receive would be greatly appreciated. Hello, Are you any relation to Sheila Norvell who at one time lived in Virginia? I could not locate the source that Wikipedia used to claim descent from Captain Hugh NORVELL. Do you know what it is? I found that his grandfather was Thomas Benjamin NORVELL. I am wondering if anyone has any pictures they can send me to bjnorvell@comcast.net. i have traced my DH’s family back to about 1591. Captain Hugh Norvell is like his 8th Great Grandfather. i think lol. If anyone has pictures I would love to see them. Knowing that Anne Spencer, 1715-1803, was married to my direct ancestor James Norvell, grandson of Capt. Hugh Norvell, one of the principal founders of Williamsburg, VA, I checked out her possible connection to Princess Diana, who was Diana Spencer. 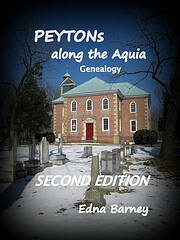 I haven’t found direct parentage; however, I discovered that Lydia Perkins, who married in 1648 my ancestor John Hugh Norvell (1635-1665), grandfather of Capt. Hugh Norvell, had royal connections. The original Perkins or Parkyns family in England were Stewards to Hugh DePencer (name from which Spencer is derived), Earl of Gloucester, Princess Diana’s ancestor. The Perkins also had royal ancestry as they descended from Pierre de Morlaix, whose father was Prince Pierre de Dreux aka Peter I, Duke of Brittany. The name Perkins is derived from Pierrekin, which means “little Peter”. Peter I was grandson of Robert I, Count of Dreux, who was a younger brother of King Louis VII of France and second cousin to King Louis VIII of France! I too am a descendant of Captain Hugh Norvell. My grandmother was Martha May Norvell-Fiasco. I’m trying to establish a connection between Wingfield Norvell and my 2nd Great Grandfather Henry W. Norvell (1837-1899), who is buried in Covesville, Albemarle County Virginia. I’ve seen a reference made that he is possibly the son of Richard G. Norvell, son of Wingfield. I can’t seem to find any mention of Richard G. in census records in this area of Virginia. Henry W. was married to Mary Mawyer and one of their sons was named Henry Richard Norvell b. abt 1860. Does anyone know the connection between Catherine Norvell Lightfoot and William Norvell of James City County? He and his wife Rebecca Johnson(daughter of Col. Philip Johnson) had no children. William adopted Catherine and she is sometimes identified as his niece or great niece and at other times as the niece or great niece of his wife Rebecca. William died in 1802 and left part of his estate to her which included Riverview, the Norvell house on the York River. I need proof that my Sam Norvell b.1745 is decended from Capt Hugh and other Bruton Ch. Norvell’s. Will gladly pay for research. Zack – I have no Sam Norvell in my database, so I cannot help you. I descended from grandson James through Benjamin Reuben. I would be interested in a reunion. I also descend from Capt. Hugh Norvell. My great grandfather was Roland R. Norvell born 1822 in Va. who was the son of Wingfield Norvell who was the son of Holdcroft H. Norvell and Mary Wingfield. I have traced my line to Capt. Hugh Norvell, born about 1669, VA. However, would appreciate if you have Sarah Bullock as his mother in your data, please confirm. And if so, how far back on the Bullock line do you have? I’d luv to hear what you have. Thanks much! I, too, am a descendent of Capt. Hugh Norvell. It has been fascinating to read the information about him. My connection is through his son, George Norvell. Then James Norvell, Benjamin, Norvell, Napolean Bonopart Norvell, Frank Norvell, Bonopart Preston Norvell, then my father John William Norvell, one of 3 brothers. It would be great to hear from anyone that has information to share! I am also a direct descendant of Hugh Norvell. I don’t know the full line but my dad is Michael Norvell and my Grandpa is William Walter Norvell. It’s pretty interesting to see all the people that are also related to him. Family reunion anyone?! Also does anyone have pictures of him? I would love to see if I look anything like him! Trev – you need to research your ancestor James Norvelle. If he was born after 1850, he will appear on census records with his parents, which will give you their names and where they were born. Then look at more censuses and vital records. I have no information on Norvells of South Carolina, but they very well could be originally from the Virginia Norvells.